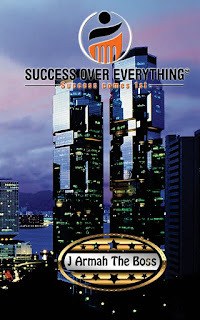 Joshua Armah is a renowned entrepreneur, consultant, motivational speaker, author, and capitalist. Born in the world famous Atlantic City, NJ. To date, Joshua Armah has owned and operated 3 companies in a C level executive position. He has worked with Inc 5000 and Fortune 500 companies. He has consulted for over 100 brands. He has also generated millions in revenue for various clients combined. 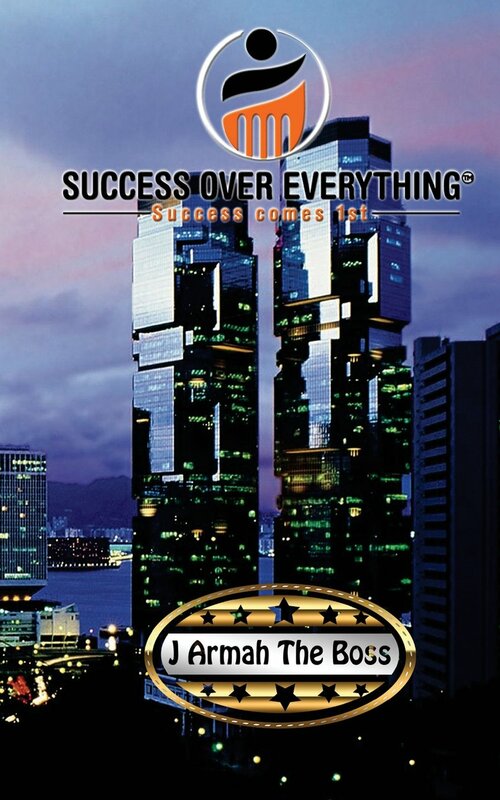 He promotes the motto "Success Over Everything" in which he inspires many through motivational speaking. He professional experience extends from real estate, business consultation, entertainment, brand management, marketing, communications, sales, customer acquisition, and much more. 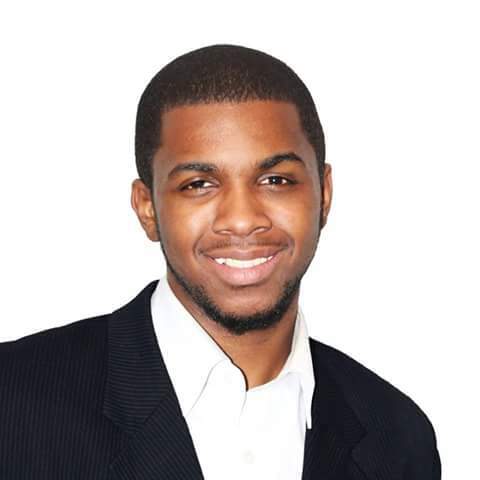 Joshua currently resides in Atlanta, GA where he is expanding into new ventures. His missions is to change the world through actions one step at a time. By being proactive, Joshua is set to fulfill his destiny and be a leader for the next generation. In your young lifetime, you have worked for several Fortune 500 companies. Which was your best experience and why? Joshua: Working for Wyndham as a Sales Consultant gave me access to many resources to build a network of relationships. This company gave me what I needed to know to run a business which is sales. Sales is the lifeblood of every business. I worked in the capacity of marketing and sales for a variety of major clients. All have the same need to maintain a strong sales for consistency in revenue. What led you to pursue a career in film, music, literature, and why these industries? Joshua: I actually started as an entertainment manager and producer. The creative arts industry has always been a passion growing up. My mother had me for me started. At a young age, I played multiple instruments, acted in stage plays, and read hundreds of books. This initially gave me the spark I needed to know early on what I wanted to do in life. Owning a business and being an entrepreneur is where my heart leaned towards. What advantage is there to being an Entrepreneur over working for a major company? Joshua: Entrepreneurship gives you a chance to jave financial freedom while control your time and energy. It allows you to be able to be more creative while not worrying about a boss firing you. The biggest advantage is being generating wealth. A major company has strict focuses while entrepreneurs have the ability to be focus while still enjoying their life. Becoming wealthy as an entrepreneur is a totally different experience than gaining a 401k by working 30 - 40 years for one company. You essentially have complete control of your life and work. In today's ever changing industry, do you think it's better to be an Entrepreneur versus working for a major film company, major record label, or major publishing company? Why? Joshua: Everything is pushing towards the independent side of things. This creates more opportunities to be an entrepreneur in the industry. This really depends on what you want for your career. If you want to have creative control and full input on projects then being an entrepreneur is the eay to go. If you want to be apart of big budgets and access to the mainstream then major is the way to go. I really recommend being an entrepreneur because you can own the rights to what you do and be involved on a major scale as you succeed in this business. Entrepreneurship is just a longer process than getting hired or signed by a major. What do you think are going to be your toughest challenges and what is your plan to overcome them? Joshua: my toughtest challenge is the amount of competition that I face daily. It a lot pf people with great ideas, companies, and inventions in the world. In prder to keep a competitive edge, my focus is on dominating the marketplace with pure innovation. I plan to overcome my competitors by out working them in every capacity that I can. I built my team to support this goal. Leveraging my time is the most important thing I can do. I can't do this alone. I delegate important tasks to my team to have a seamless workflow. How has life's adversities led you to who you've become today? Joshua: Life's adversities let me to become the executive that I am today. This built the confidence in me to have perseverance and patience. For instance, after facine near death experiences multiple times it allowed me to appreciate and value who I am as a person along with what I bring to the table. Looking back, what are you most thankful for? Joshua: I am mlst thankful for God blessing me with he right people in my life to support my goals and dreams. Joshua: I look forward to becoming a tycoon and effecting millions of people around the world. I am challenging myself to be a leader for my geneation by leaving my mark on the world through my work. What kind of clients are you looking for and how should they contact you?